HOT OFF THE PRESS: Lester & Charlie’s New Book “Losers” Is Here! Who are the real winners, here? Lotteries. They have been called both a tax on stupidity and a math tax. The odds of losing are so high as to be practically guaranteed. Yet 57% of the US population buys a lottery ticket at least once a year. You may already be familiar with some of the winners. Winners make headlines. Winners buy new homes, new cars. What do they losers do? Some get upset. Some just shrug; there’s always next time. Others are just happy to have briefly entertained the fantasy of being disgustingly rich. But it’s unlikely that any of us considers how lucky we might have been to have lost. A full 70% of lottery winners not only lose all the money within a few years, but they end up much unhappier than they could have imagined back when all they had was a dollar and a dream. We could have brought you a book about some of our favorite winning lottery tickets. Instead, here’s a look at some of the tickets that lost. They may be luckier. There is no word in English that means fear of gambling. Princeton and Columbia Universities were funded with the help of lotteries. CLICK HERE TO GET YOUR COPY ON AMAZON TODAY! 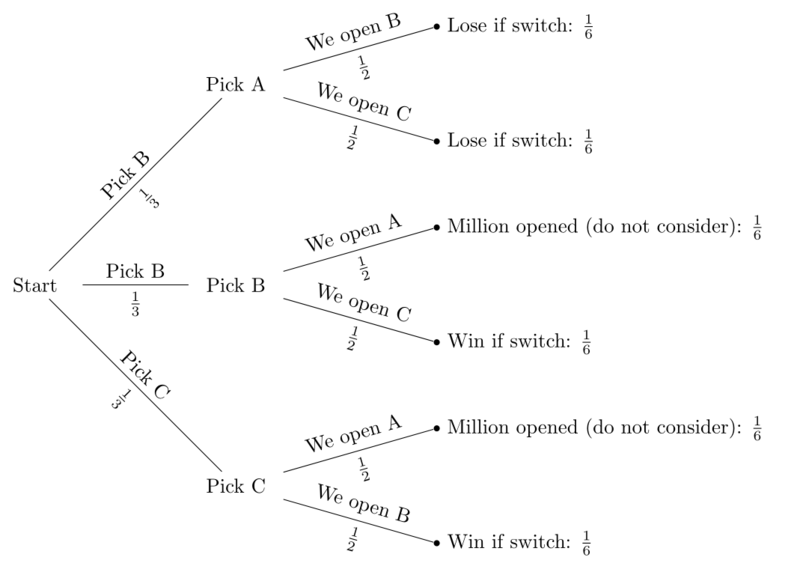 explanation of The Monty Hall Problem!